To find out the latest from the Ovenden Ward Forum held on Tuesday 26 March, you can download the minutes here. 2.1 Andrew Pitts Assistant Director, Neighbourhoods spoke to the ward forum regards the Council plans to enforcement and strengthen environmental service Andrew Pitts spoke about a report that the council have created to suggests that two key public-facing Council services which impact significantly upon the quality of life of residents, businesses and visitors to Calderdale – Highway Maintenance and Safer, Cleaner, Greener – should be integrated into a single new “Green Spaces and Street Scene Service”. Together, these services keep neighbourhoods and town centres clean; maintain parks and open spaces; look after play areas, allotments and sports pitches; repair potholes, pavements, walls and drainage; protect and enhance the countryside; keep the highway network open in bad weather; and deal with a range of highway emergencies round the clock. Getting these fundamental, universal services right – provided in a responsive, efficient and customer-focussed way – is central to the delivery of the Council’s Vision 2024 and its ambition to be the Best Borough in the North; it also supports the ‘right first time’ approach in the Customer Services Strategy to reduce avoidable customer contact and improve the Council’s reputation. 3.7 Cousin Lane –Councillor Collins confirmed that ongoing work to address the conditions of the road with senior officers from the council and look at improvements to be made. 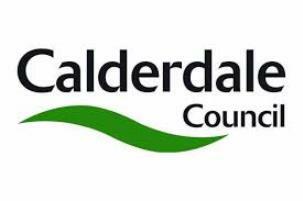 3.8 Ackley Bridge – Councillor Collins confirmed another positive for the area is the filming of the TV programme Ackley Bridge who have recently filmed at HXRUFC Ovenden Park and Turner Avenue South. 4.1 Tesco’s Ovenden –Ongoing Issues with shoplifting and abuse from customers. Police are working with managers and staff to try and combat this issues . 2 young people have been issued ASBI and received bail conditions and if breached will be arrested . · Parking and road safety around schools. · Council based activity – Fly tipping. Wednesday 5 June 2019, 6:00pm at Moorside Community Primary School for refreshments and a prompt 6.15pm start. ← North and East Halifax Friday Flyer 29 March 2019 – OUT NOW!